There's never a dull moment in the Sunshine State. Whether you're after culture by the coast or magic at one of the world's most famous theme parks – holidays in Florida have it all! Oozing with every kind of entertainment imaginable, big kids and the young at heart will love every magical moment. From seaside fantasy along the glittering Gulf Coast to the heart-warming sparkle of Walt Disney World, there's a world of imagination on your doorstep that's just waiting to be discovered. Heart-racing rollercoasters and beloved childhood characters aside, there's a huge amount of fun to be had in Florida outside of the theme parks. Indulge in the luxury laid-back lifestyle of picture-perfect beach towns, explore the iconic wetlands of the Everglades National Park, blast off to outer space at the Kennedy Space Center Visitor Complex or shop 'til you drop at the fabulous fashion outlets. The only thing you need to worry about is fitting it all in! Orlando's popularity can be credited to a rather magical mouse. Overflowing with imagination and spellbinding sparkle, Walt Disney World Resort will illuminate your wonderment in ways you never thought possible. Stare in awe at the iconic Cinderella's castle or relive your favourite film moments at Disney's Hollywood Studios. Not to be outdone, Universal Studios™ is the place to be for thrills and spills! 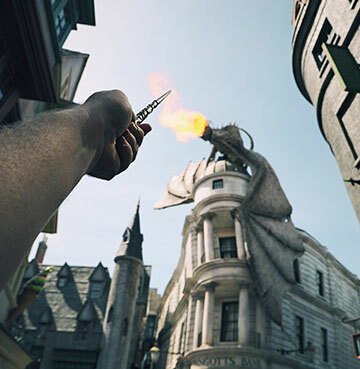 Meander the magical streets of Diagon Alley™ at the Wizarding World of Harry Potter™ and delve into Despicable Me Minion Mayhem™. It's safe to say – between the two resorts - there's more than enough magic flying around. One small step from Orlando, one giant step for your imagination! There's more than one way to enjoy an out-of-this-world experience. Kennedy Space Center Visitor Complex offers you the chance to follow in the footsteps of NASA's greatest astronauts and come face to face with real life rockets. Creatively organised into mission zones, make your way around the mind-blowing site and even try your hand at a training simulator! Away from adrenaline-pumping Orlando, indulge in the laid-back lifestyle of the Gulf Coast. Leave the crowds behind and settle in for pin-drop peaceful days spent on powder-white sands. Where the buzz of theme parks fade into the gentle sound of the sea kissing the shoreline. Sunsets here are nothing short of breathtaking. Mother Nature's show stopping spectacle could rival the parades and theatrics back at the theme parks! A kaleidoscope of colour spills out across the sky, with blissful beaches doubling as the perfect viewing platform. The gorgeous Gulf Coast was made for life in the great outdoors. From wet and wild watersports to calming catamaran cruises – the list of facilities are endless. Of course it doesn't stop at the waves! There's plenty of leisurely strolls and heavenly hikes peppered all over that'll get you up close and personal with the serene scenery. 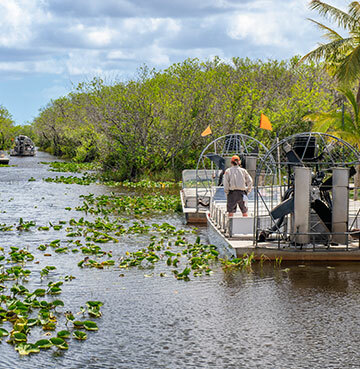 For the more adventurous traveller, no trip to Florida would be complete without a visit to the iconic Everglades National Park. Home to alligators, manatees and a huge amount of other wildlife – be sure to add this one to your bucket list! A hole in one for golf lovers everywhere, there's over 170 courses in Orlando and 100 on the Gulf Coast. Good times are a given when you're putting and walking the fairways in Florida – so if you're a devout golfer, be sure to tee off and make the most of some of the best courses in the world. Bountiful with blissful beaches, the Sunshine State is spoilt with sands that sprawl out for hundreds of miles. Some lie off the beaten track in hidden coves, while others are hotspots for people watching and catching some rays. Wild Atlantic waves on the energetic east coast contrast the soothing shores of the west. No matter where you visit though, you'll be able to bask in the sizzling sunshine and swim in the wonderful waters. 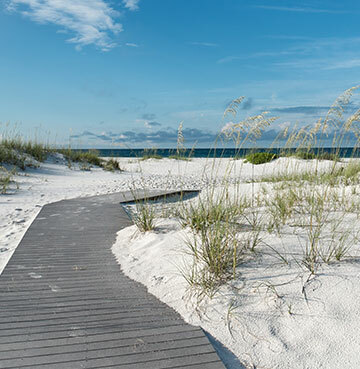 Whether you're after romance, family-fun, seclusion, sports facilities or nature trails – Florida will have the perfect slice of beachside paradise just for you! It goes without saying that food is a big feature in any Florida holiday. Between character themed restaurants and over-the-top theatrical eateries – show time doesn't stop for dinner time! Universal Citywalk™ and Disney Springs both have a mind-boggling choice of places to tantalise your taste buds. Whether you're after a quick bite to keep you going between rides, or a three course dinner to relax and enjoy each other's company – they've got you covered. Special park snacks are available too, from beautifully decorated candy apples to Rice Krispie treats and insane ice cream sundaes! Florida, like any good holiday destination, has a few iconic dishes that are unique to the state. Thanks to Latin-American influences you'll see the legendry Cuban sandwiches popping up all over the place – and best of all, they can be eaten any time of day! Layers of toasted pork, smoked ham, Swiss cheese, pickles and mustard come together between crusty buttered bread for a mouth-watering medley of meats. 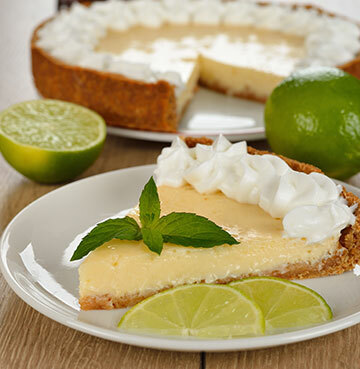 If you're after the ultimate sweet treat of the Sunshine State, look no further than the Key Lime pie. Fluffy clouds of meringue top the tangy, creamy middle that's made with native limes from the famous Florida Keys. Adventurous foodies can even tuck into Alligator! Would you dare to give it a try? Florida is the perfect way to get your retail fix. 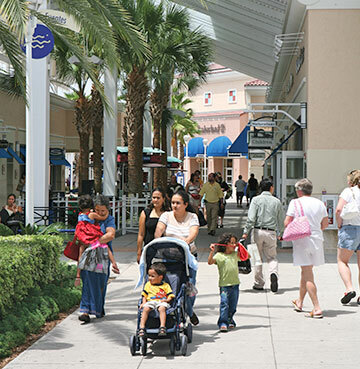 Orlando has more outlets than orange trees, with some of the largest housing a whopping 180 stores! Magnificent malls are beautifully designed and home to a whole host of wonderful boutiques and tantalisingly tasty eateries. You'll be like a kid in a candy store – so be prepared to shop 'til you drop and bag yourself some holiday bargains. The Gulf Coast offers exclusive shopping opportunities, with everything from the latest fashion must-haves to the perfect souvenirs and keepsakes. Sometimes a shopping spree is the perfect way to while away a day and spend a few hours out of the sizzling sun. Perusing elegant waterfront stores and discovering one-of-a-kind art pieces from local craftsmen is all part of the fun! Although public transport is easily accessible, you can't beat the freedom of having your own wheels – especially for longer day trips! Choose between coastal roads, forest highways and long stretches that'll lead you by lovely lakes and bustling towns. A drive to Daytona Beach is a must, if only to experience driving and parking on the famous sands. The mark of an easy-going family day out, you won't have to worry about walking miles to and from the car – you'll have everything you need a stone's throw from wherever you set up camp! 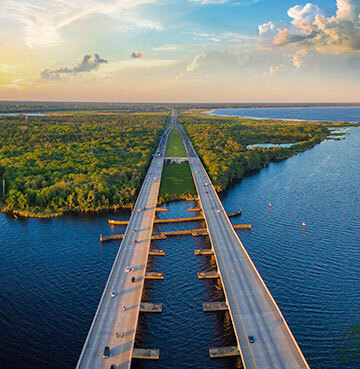 Handily, the Gulf Coast and Orlando are only about an hour and a half apart by road – so you can have the best of both worlds and comfortably enjoy day trips between the two. If your holiday base is Orlando, why not head out to beautiful Clearwater Bay? Enjoy a relaxing day strolling along the palm-lined promenade and head out on the water for a dolphin tour! Likewise, if the Gulf Coast is your holiday home from home, then dedicate a few days to the bright lights and buzzing attractions of Orlando.